Home / Shop / ”Fantasia”- Pecorino with Rocket, Olives & Chilli. 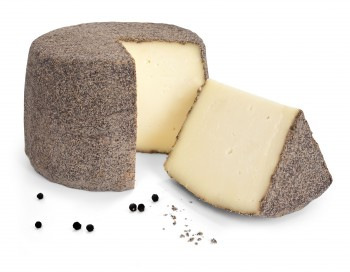 ”Fantasia”- Pecorino with Rocket, Olives & Chilli. 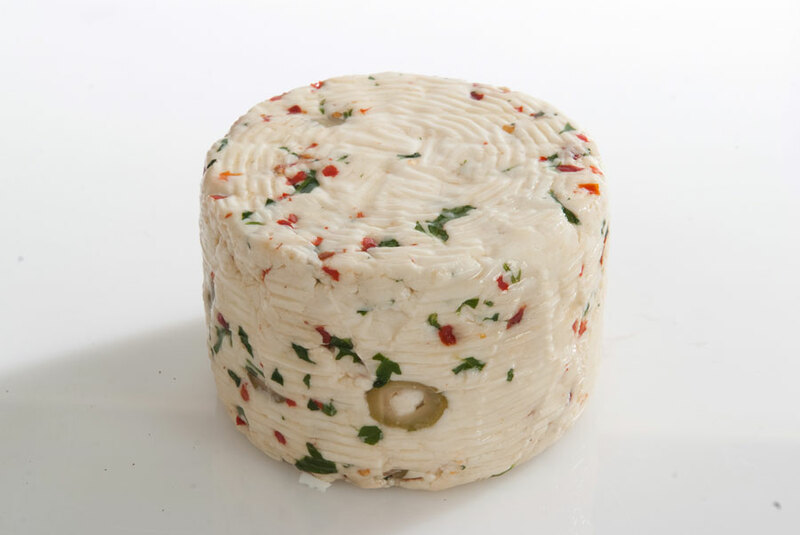 Young Sicilian pasteurised sheep’s milk pecorino cheese, matured for only 8-10 days with the addition of olives, rocket and a little chilli. A colourful ‘must have’ for the cheeseboard! 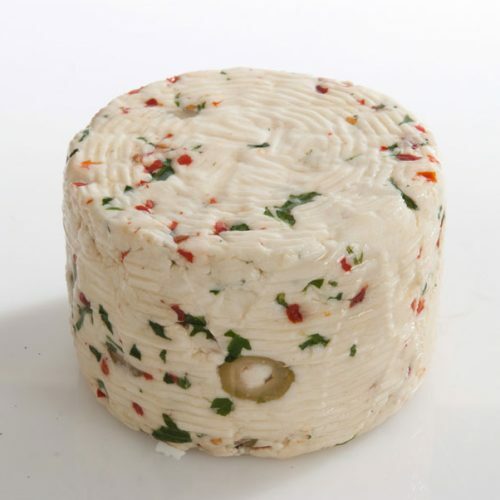 A young pecorino cheese from Sicily, made from pasteurised sheep’s milk and matured for 8-10 days with the addition of green stuffed olives, rocket and a little chilli. A must for adding colour to your cheeseboard!